Congratulations to "Joyce M.", the winner in Terry's giveaway. Please contact JUST ROMANTIC SUSPENSE to claim your prize. Thank you to all who participated! When writing a romantic suspense, one of the first considerations is choosing the right hero and heroine. For most of my books, the two have been thrust together as strangers, often with reluctance on the part of one—or both—of them. The hero and heroine in Falcon’s Prey, my 8th Blackthorne, Inc. book, surprised me (which isn’t really that unusual, but I hadn’t expected this one). It turned out that Lexi Becker and Marv Frisch—“Fish” to his Blackthorne colleagues—had known each other in the past, as partners on the police force. Not as lovers—she was married. Circumstances led them on different paths, but they’d stayed in touch. Her husband had been killed, and she’d moved to a new state, a new job, but still a police officer. Fish’s job change led him to becoming a covert operative for Blackthorne. When Lexi thought her life was in danger, she turned to Blackthorne, Inc. for help, and Fish was assigned as her protector. Some of the challenges of writing characters who have a history, is that they understand each other. They speak the same language. They share experiences. Since I write in Deep Point of View, I’m not on the page to explain things to the reader—things both characters know, so they wouldn’t explain them to each other. (Something often referred to as “Maid/Butler” speech, or “As you know, Bob”.) They both know cop terminology, so they use shortcuts and abbreviations. A lot of the ‘fun’ of the characters discovering each other doesn’t hit the page, because they already know their likes and dislikes, their quirks and gestures. There’s not a true “first meet” scene, although I managed to throw a surprise Fish’s way. Inside, Dalton, Manny, and Adam sat at a gleaming wood conference table. A pod coffeemaker, bottled water, as well as a fruit platter and assorted pastries sat on a credenza against the wall. A glass jar of wrapped butterscotch candies rested on the table, near Dalton’s place at the head. A woman, her head lowered, her face hidden behind a waterfall of blonde waves, sat at Dalton’s right. File folders, pads of paper, and pens had been set at five places, four already claimed, so Fish assumed he was the last to arrive. He checked the time. He was six minutes early. The woman looked up from her papers, her green eyes shining like emeralds. She smiled. “Good to see you, Marv.” When they’d first become partners, she’d refused to call him Frisch as was custom. Later, she’d admitted calling him Marv had started as a way to bug him. He’d been saddled with his great-grandfather Marvin’s name, part of the traditions of his heritage, a tradition he’d be happier without. After he and Lexi had been partnered for a while, he’d found he rather liked hearing her say it. But that’s what writing is all about. Dealing with challenges, coming up with new ways to show readers what’s going on. Heroes aren’t fearless. They just don’t let fear get in the way. Police officer Lexi Becker is being targeted. When her husband was murdered three years ago, Lexi moved to a small town to get away from the memories, to get away from the pain. But she can’t get away from the gut feeling that a drug lord, known only as the Falcon, was responsible for her husband’s death. As she quietly conducts her own investigation, it becomes clear to Lexi she could be the Falcon’s next victim. Afraid her local police department has been infiltrated by the Falcon, she turns to the only man she can trust for help: her former patrol partner. But so is her heart. 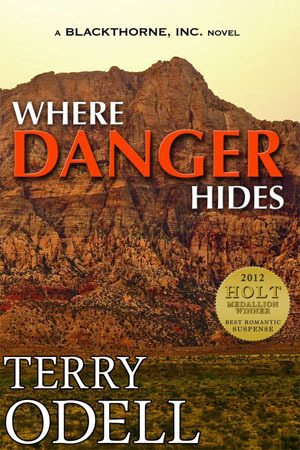 Torn between hiding or coming to the aid of an orphaned child, Lexi leaves Fish’s protection. Now she’s on her own, a prime target for the Falcon…unless she can outsmart him. Will Lexi survive long enough to tell Fish how she feels? You can read the entire first chapter, an excerpt, and find a scene that never made it into the book here. You can buy Falcon’s Prey at most digital stores here. 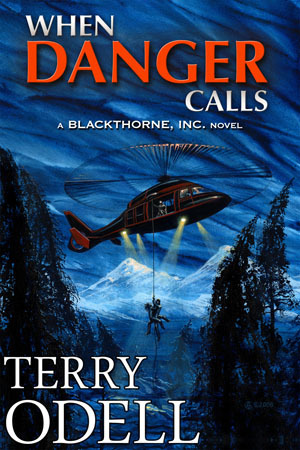 Book 1 in the series, When Danger Calls, is free at most digital bookstores. Giveaway ends 11:59pm EST July 13th. Due to GDPR regulations you no longer need to submit your email address in the comments. If you have been selected as a winner your name will be posted at the top of the post. You may then contact maureen@justromanticsuspense.com to claim your prize. Your email address will be shared with the author/publicist providing the giveaway. Adding this to my want list.. sounds good! Thanks, Colleen. It was fun to write. Glad you think so. Thanks for stopping by. Glad you've enjoyed my books, Linda. Hope you'll give this one a try, too.